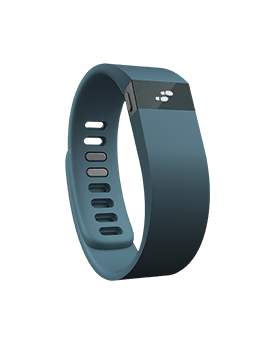 If you’re one of the people who loved the Fitbit Force, but returned the fitness-tracking wristband when you suffered from contact dermatitis or when the product was recalled in the United States, good news. Photos have leaked of a product display for the Force’s rumored replacements, and they look very similar. However, we have bad news if you planned to buy that wristband at your local Apple Store. Apple, as you may have heard, will begin selling its own wrist computer sometime in 2015, and the product will apparently have its own fitness-tracking functions. Fitbit hasn’t yet announced whether it plans to make its trackers and syncing apps compatible with Apple’s HealthKit app, one of the new and exciting features of the latest version of the company’s mobile operating system. Earlier today, Re/code reported that the Fitbit will no longer be sold in Apple’s retail stores. Well, okay, but does this mean that other companies’ fitness trackers won’t be available in Apple Stores, either? Will products need to be HealthKit-compatible before they’re allowed to grace the shelves, or are cheaper wearables as a category out once the Apple Watch is available? How about fitness trackers for pets (which are a real thing)? The sources who gave this information about Apple’s plans to Re/code didn’t say. It may not matter in the end to Fitbit, since their product works on multiple platforms. The trackers do need to sync to another device to work, or you might as well just buy a pedometer at the dollar store. However, that device doesn’t have to be a phone at all. You can sync one only to a computer instead, and they’re multi-platform and sold in stores with a lot more foot traffic than the typical Apple Store: think big boxes like Best Buy, Target, Walmart, or Kohl’s. Here are the apparent new trackers, though, in a photo leaked to our ex-sibling site Gizmodo, which they have understandably watermarked the heck out of. The two new trackers are the Charge and Charge HR, which have a similar feature set except that the latter also constantly tracks your heart rate from your wrist. Both track steps, sleep, and altitude climbed, and have the caller ID feature that had long been promised to users of the Fitbit Force.